The Trail Smoke Eaters are back on home ice for the first time since mid-December as they kick-off a six-game home stand against the Vernon Vipers on Friday night at the Trail Memorial Centre. The Smoke Eaters and Vipers play the final of their six-game season series tonight with Vernon having won three of the five meetings thus far, including handing Trail a 3-2 overtime setback in the middle of December at the Trail Memorial Centre. The Vipers jumped ahead 2-0 before goals from Jimmy Darby and Chase Stevenson got the game into overtime with former Viper Mitch Andres winning it for the visitors. Adam Marcoux stopped 23 of the 26 shots he faced in the game in the defeat. Trail comes into the game after four games away from home, earning five out of a possible last six points including a 5-4 victory over the Salmon Arm Silverbacks on Saturday night at the Shaw Centre. Paul Leroux scored his first BC Hockey League goal while Trevor Zins, Mack Byers, Tyler Ghirardosi and Owen Ozar added markers along with the Smoke Eaters power play registering three tallies on the night. Donovan Buskey collected his first career BCHL victory, making 28 saves on 32 shots in between the pipes. With the Surrey Eagles loss to the West Kelowna Warriors on Wednesday night, the Smoke Eaters have officially clinched a spot in the BCHL playoffs. 2019 will mark the third straight season that Trail will play into March, with each of the past two seasons seeing the Smoke Eaters advance to the Interior Division Semi-Finals in both 2017 and 2018. The point streak continued for Smoke Eaters forward Chase Stevenson on Saturday night in Salmon Arm as his assist brought him to five consecutive games with at least a point. The University of New Hampshire commit has scored 2 goals and added 4 assists for 6 points over that span and has registered a point in 9 of his last 10 games. The West Kelowna, BC product has played well against the Vipers this season, collecting 3 goals and 3 assists for 6 points in his 4 games against Vernon this season split between time with Trail and Surrey. 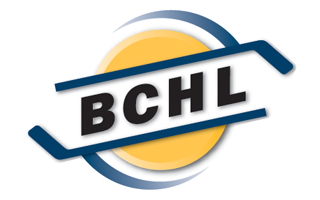 Defender Trevor Zins earned his third honourable mention for the BC Hockey League’s Player of the Week award. The Saint Michael, Minnesota native scored a goal along with three assists for four points in the Smoke Eaters 5-4 victory against the Silverbacks and owns a three-game point streak with a goal and five assists for six games in that span. The Vernon Vipers enter play on Friday night with a 20-18-7-3 record and sit 5th in the Interior Division after earning four of a possible six points on a trip to Vancouver Island concluding in a 4-1 victory over the Victoria Grizzlies on Sunday afternoon. Newcomer Lane Zablocki scored twice in the game for the Vipers while Brendan Kim and Logan Cash added singles in the victory. Bradley Cooper had a strong afternoon in between the pipes for Vernon, stopping 39 of the 40 shots he faced for his 6th victory of the season. Entering the month of February, the Vipers are hoping the success of the year’s first month carries over into the final month of the regular season. Vernon held a 7-2-1-0 record in January while outscoring their opposition by a 30-20 margin including a 4-1-0-0 record while playing on the road over the course of the last month of play. 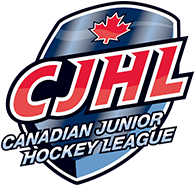 Vernon made a big splash at the January 10th Trade Deadline as they added former Western Hockey League forward Lane Zablocki who has made an immediate impact. The 2017 third round selection in the National Hockey League Draft by the Detroit Red Wings has earned three goals and five points in his six games with the Vipers, including entering tonight with a three-game point streak with two goals and two assists for four points in that span. 2019 has treated Vipers netminder Aidan Porter very well as the Boston, Massachusetts native has won six of his last seven starts since returning from the Christmas break. The Princeton University commit has compiled a 1.71 goals against average and a .941 save percentage over the stretch including a 30-save shutout against the West Kelowna Warriors in mid-January, one of his league-leading four shutouts this season with one of those coming against the Smoke Eaters. The Smoke Eaters and Vipers will drop the puck at 7 PM from the Trail Memorial Centre with tickets available at the Smoke Eaters Main Office as well as at the door ahead of the opening face-off. If you can’t make it to the rink, the game will be available with a free audio stream at mixlr.com/trail-smoke-eaters as well as on pay-per-view at HockeyTV.com with the Voice of the Smoke Eaters, Trevor Miller.